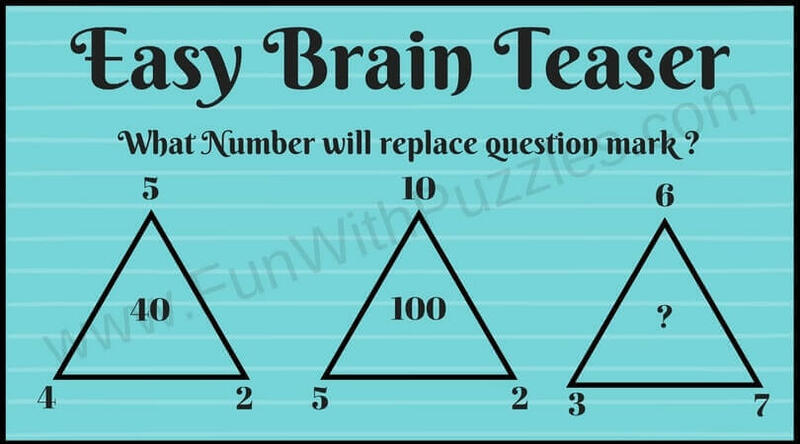 Mathematics Brain Teasers are very much fun to solve. 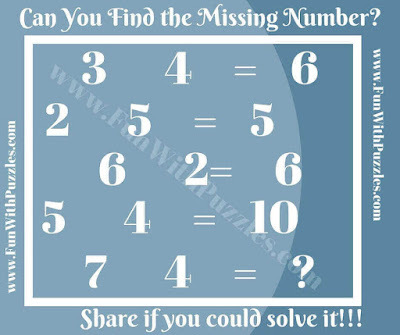 Maths Brain Teasers comes with many different cool variations like Numbers around the shapes Maths Puzzles in which one has to find the missing number which will replace the question mark. 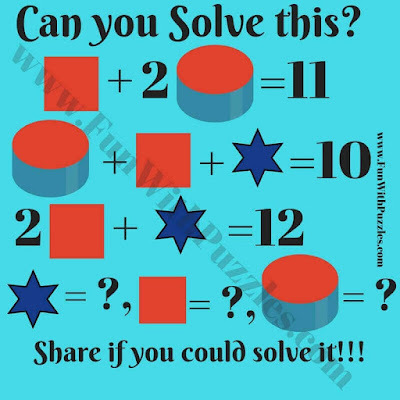 There are also very cool Maths Equations Brain Teasers in which one has to solve some Maths Equations in which variables are represented by different geometrical shapes. 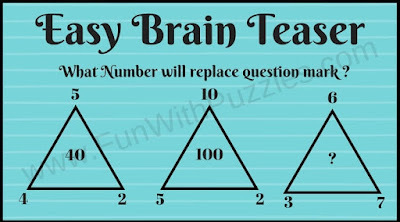 In these Cool Maths Brain Teasers there is groups of few numbers which has logical relationship with each other. 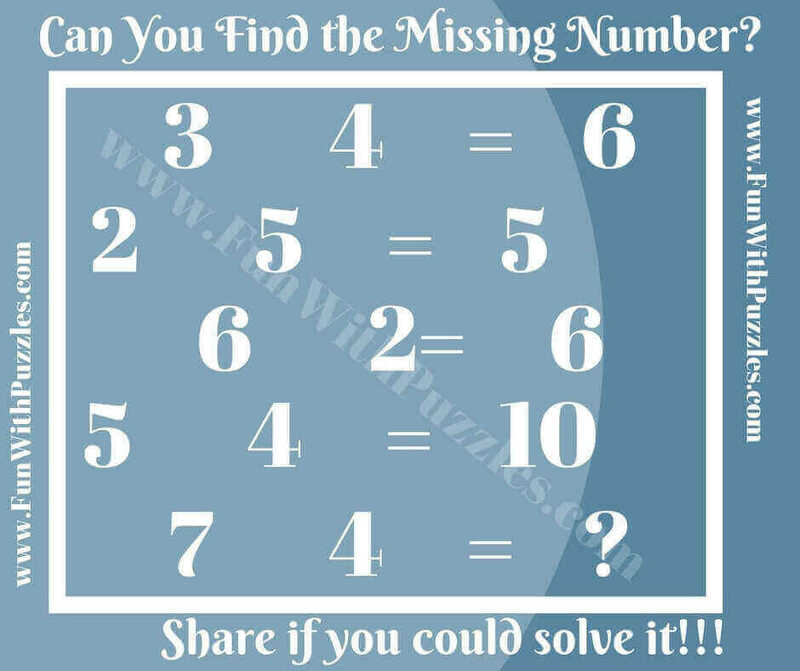 Your challenge is to find this Logical relationship and then solve for the missing number which will replace the question mark. 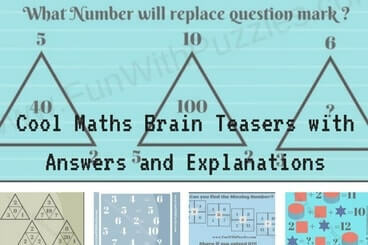 Answers along with explanations to these Cool Maths Brain Teasers are given at the end. 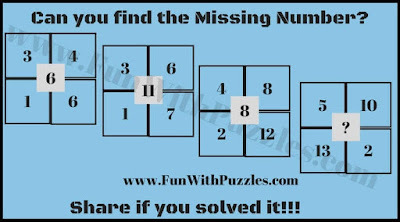 Also links to the posts containing the similar Maths Brain Teasers is given after each of the Picture Puzzles Image. 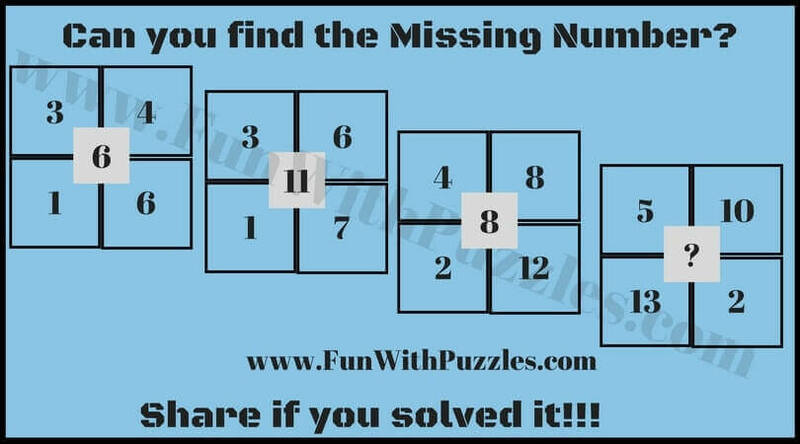 Do click on these links to solve similar Maths Brain Teasers. Last Maths Brain Teaser is Simple Maths equations in which variables are replaced with geometrical shapes. 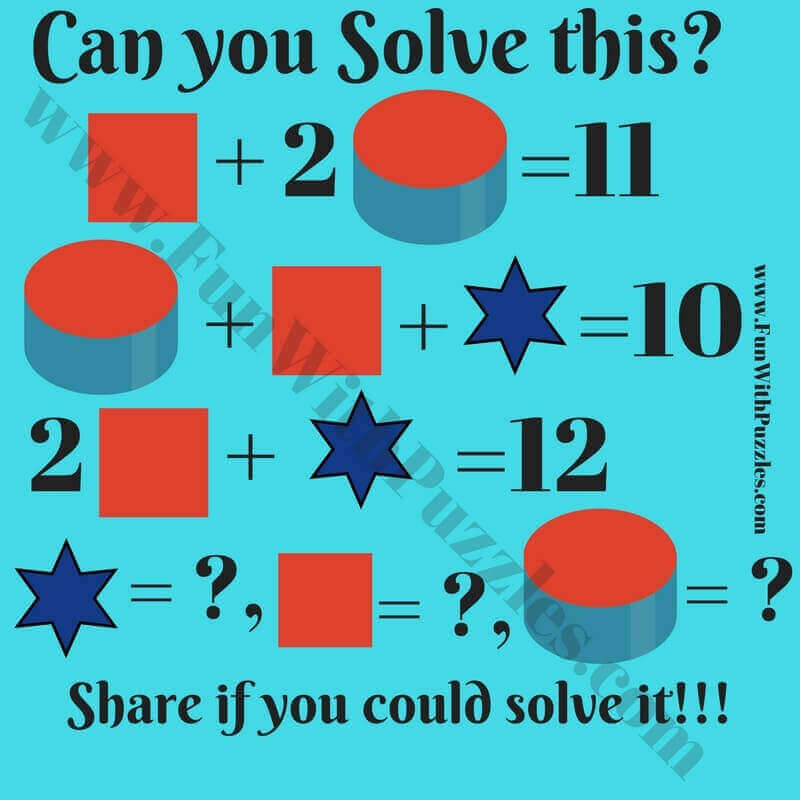 Your task is to solve this equations and find values of these geometrical shapes. 5x2-1 = 9, 2x2-2=2, 3x8-4=20,Similarly 7x3-2=19. 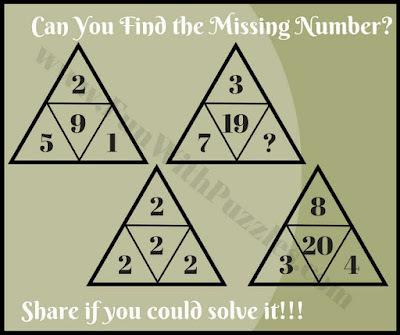 Required number= multiplication of the three numbers on the three sides of triangle. Required number =multiplication of the numbers on upper side - multiplication of the numbers on lower side. explanation is same way as in question 4.